NFC technology represents a set of standards specifically developed for smart phones and other similar devices such as iPads. NFC technology is aimed at setting up radio communication amongst these devices by establishing contact or bringing them within a range of a few centimeters. As already proven, Near Field Communication (NFC) has a lot of applications, and the anticipated uses of NFC technology are even greater. NFC technology is applied in areas such as data exchange, simplified set up of Wi-Fi, which is considered to be a sophisticated form of communication that does not require the devices exchanges information to be in contact or connected to each other. Additionally, near field communication allows for communication between NFC tags, which are unpowered NFC chips and an NFC device. Existing radio-frequency identification (RFID) standards such as FeliCa and ISO/IEC 14443 form the core of the NFC standards. The standards cover formats that facilitate data exchange and communication protocols. The Near Field Communication forum defines the said standards such as the ISO/IEC 18092. The forum was established in 2004 and was the brainchild of Sony, Philips and Nokia. Presently, it has more than 160 members. The forum not only promotes the endeavors of the NFC technology, but it also certifies the compliance of supported devices. NFC technology promises a future that is nothing short of amazing. However, it is important to note that near field communication also faces obstacles and challenges that are similarly great in the realization of that future. Given that the technology has been in existence since 2004, it would not be inaccurate to say that NFC as a technology is nothing new. However, aggressive research into NFC has established that it can do much more beyond its current application. Like most other technologies, money has been identified as the driving force behind the renewed interest in the new technology and it’s potential. In the United States and Europe, mobile payments have been identified as the catalyst behind the adoption of near field communication in mobile devices. Other highlighted uses for the NFC such as file sharing, smartcards and Bluetooth pairing just did not meet the threshold of exciting the tech savvy masses. Experts argue that at best, these features would pass off as some gimmicks and become totally irrelevant at their worst. Paying for clothing, food and Walmart spending using your smart phone is definitely something that most people would not mind at all. The necessary hardware for achieving this is already in place, thanks to the little chip in most credit cards. In order to convey your information, you would need to buy NFC tags stickers and stick them on your items. You would be able to buy NFC tags from online vendors. Before you buy NFC tags stickers, it is best to decide what information you would like them to carry. As you buy NFC tags, consider the storage capacity and security features. It is best to buy NFC tags stickers that can hold more information. Finally, before you buy NFC tags, make sure the modulation scheme will work for your target device. It is best to buy NFC tags stickers that work with most devices. If you have any kind of concerns regarding where and how you can utilize starnfc, you could contact us at the site. What Can NFC Technology Do For You? As previously mentioned, NFC technology has its roots in radio frequency identification. So, what is RFID? Simply put, a reader generates radio waves which are then picked up by a passive sensor. The sensor uses the energy of the radio wave bombardment to generate a plain-text number string. This is then sent back to the reader for purposes of decoding. RFID is used for a number of applications such as tagging both domestic and wild animals for scientific studies and in the tracking of pallets at major retail outlets. The smartcard was the next big thing that worked on the RFID principle. However, the smartcard does not deal in simple plain-text information exchange like the RFID chip. They are equipped with chips that are capable of information exchange (sending and storing) that is based on state of the art encryption levels. Smartcards are increasingly being used in corporate and government operations that require high level security. 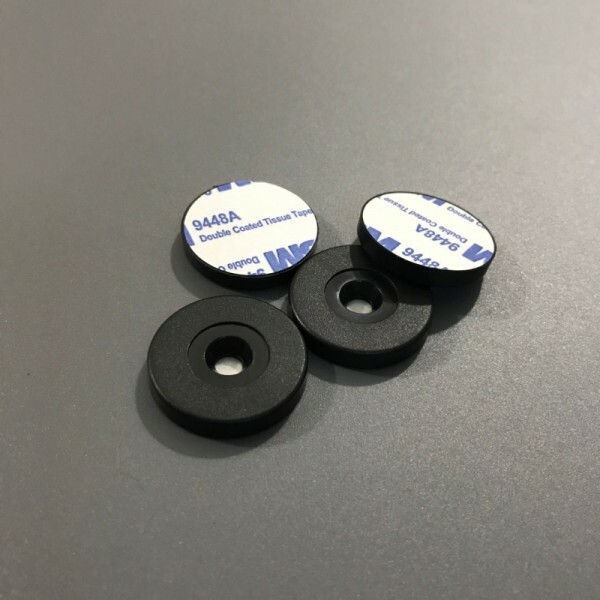 Until the advent of NFC technology and its critical constituents such as NFC tags stickers and NFC tags, all the above radio-frequency based communication solutions heavily relied on the use of chips containing passive sensors. Adwords. Anyway I am adding this RSS to my e-mail and can look out for much more of your respective intriguing content. Make sure you update this again soon..
yours these days. I really appreciatee people liike you! this sector do not understand this. You must proceed your writing. protect against hackers? I’m kinda paranoid about losing everything I’ve worked hard on. Any tips? If you desire to obtain a great deal from this article then you have to apply these techniques too your won webpage. don. One with a coal mining executive and one with a young poker player. and wanted to say that I’ve really enjoyed browsing your blog posts. This post is genuinely a pleasant one it assists new internet viewers, who are wishing for blogging.